A placard flip system for “the generalist”! Choose between fifteen different DOT panels. • Flip easily and smoothly between 15 popular DOT legends. 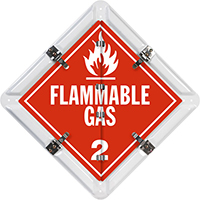 Flip-n-Lock™ placards feature the industry’s smoothest snag-free flip system. 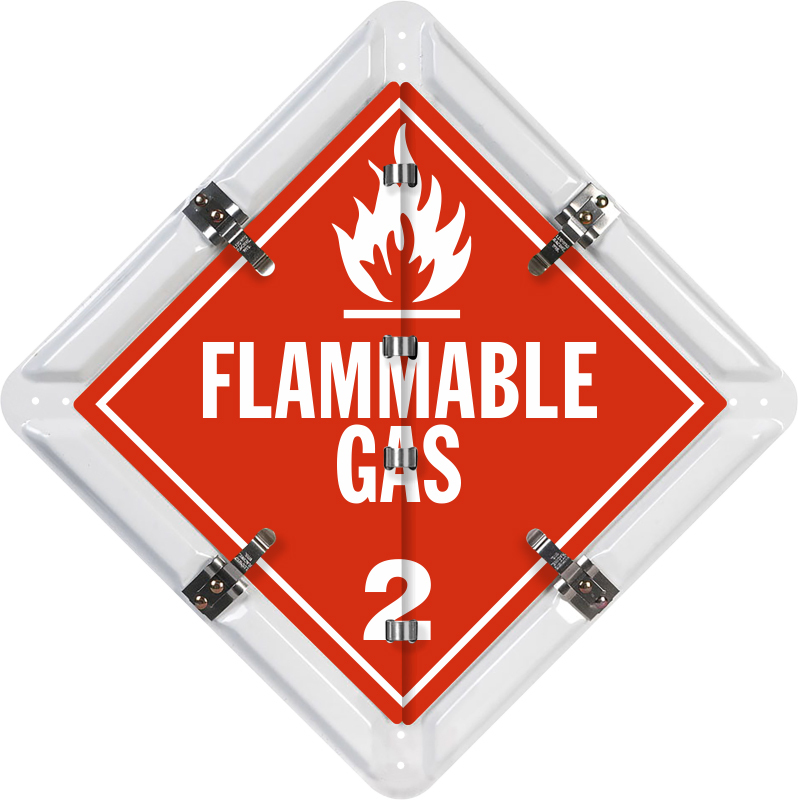 • Aluminum placards are made from a rust-free, heavy 0.032” thick back plate. Each legend sheet is similarly durable – they are 0.032” thick (compare to the thinner, 0.023” thick legends from the competitors). Each placard legend has rounded corners for safe handling. • Flip-n-Lock placards are constructed from white painted aluminum. White, baked-on finish stands up to weather, fading and constant abuse. White holders are perfect for white trailers.